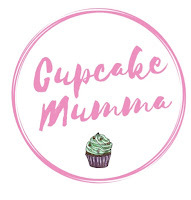 Cupcake Mumma: Reasons To Be Cheerful! I had a wonderful day yesterday with my niece and little A. We didn't do much; lots of chilling out with a certain pig and tank engine on TV. We tried on shoes and both little ones had a nice afternoon snooze. The best bit though was our sensory play. 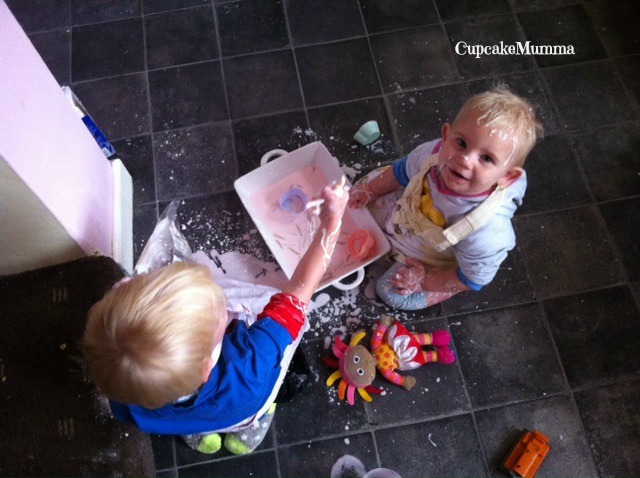 We mixed cornflour and water together to make gloop and had such a fab time! I spent an evening with my mum yesterday. Admittedly most of it was spent watching glitchy British Bake Off (cheers Internet) or running up and down to a stuffed up Midge, and admittedly again it ended up in me holding a suspected full-of-cold toddler for the last hour of the evening as he slept on me but hey, we chatted, we caught up, had a nice dinner and just appreciated each others company. Can't complain really! I've made a real dent in my Christmas shopping, I'm making my final payment next week for my shopping vouchers and I've even made some Christmas cards. Every blooming year I tell myself i'll make the cards but every year I get too close to the big day so this time I'm well ahead and very pleased! I'm super looking forward to Halloween and my birthday first though so no more Christmas planning for now!! I hope you can all find some reasons to be cheerful this week even if its just one. They loved it! Oh please don't panic ha! I'm a complete child at christmas!